Curls delivers mail up in the cold mountains east of San Diego. Quit laughing all of you in snow country, 20 degrees Fahrenheit is cold for us. 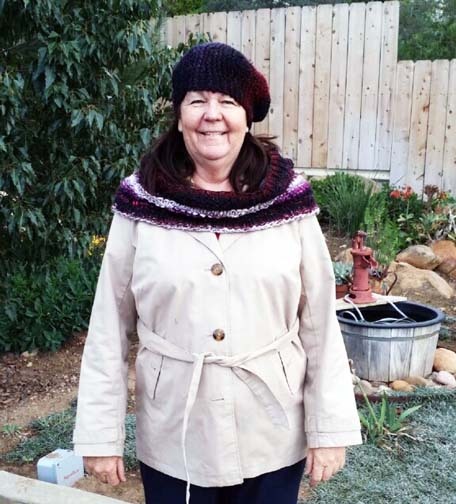 To keep my precious sister warm, I knit both a hat and a cowl. 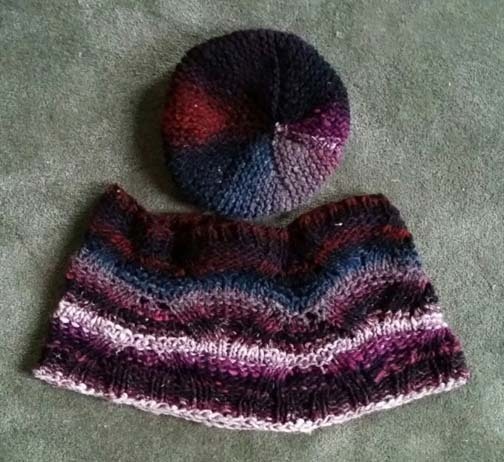 Both the hat and the cowl were knit in Silk Garden by Noro, quite a love yarn with which to knit. The hat is one of our favorite patterns which Curls “found” on our Northwest trip a couple of year ago, Urchin by Ysolda Teague. 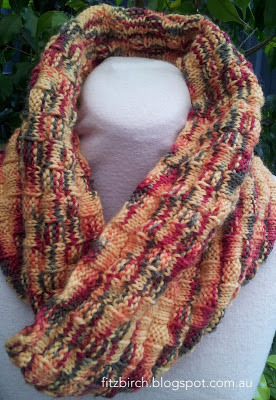 The cowl was knit using my favorite pattern State Street Cowl by Pam Allen. I LOVE cowls since they don’t have any hanging ends for me to slop through my food when eating out. 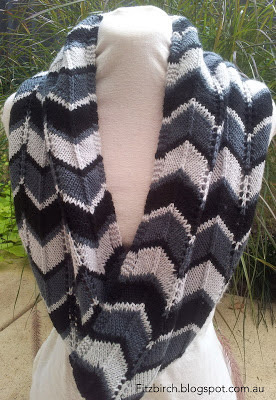 As a process knitter, I love the process of knitting, trying new patterns and techniques, but usually give the items I’ve knit away since I’m not really making them for myself. My favorite person to knit for is Curls since she can actually wear the winter woolens. Now get your crafty self up and make something for some one. Have fun! 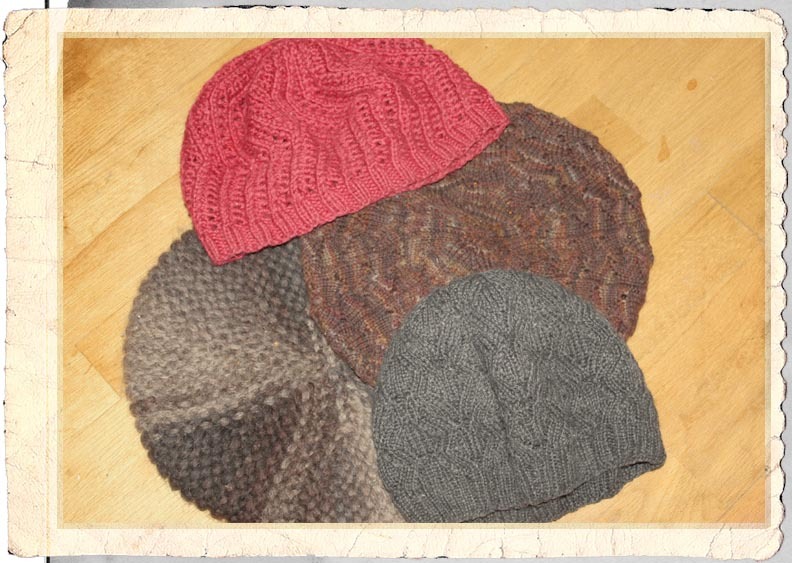 These are a just few of the hats I have knitted for myself. Clockwise: 1) At the top, the red hat is a free pattern from Red Heart which is made with their wool yarn. 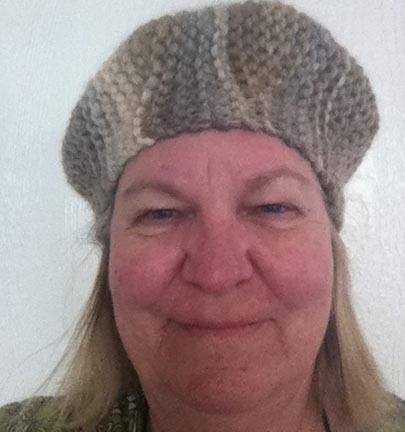 2) The brown hat, which I call THE HAT, is made with yarn I picked up in Montana at the Mountain Colors Yarn Company. It is one of my favorite hats. THE HAT is featured on the front cover of “Vogue Knitting” Fall 2009. The article was called “Head Trips”. 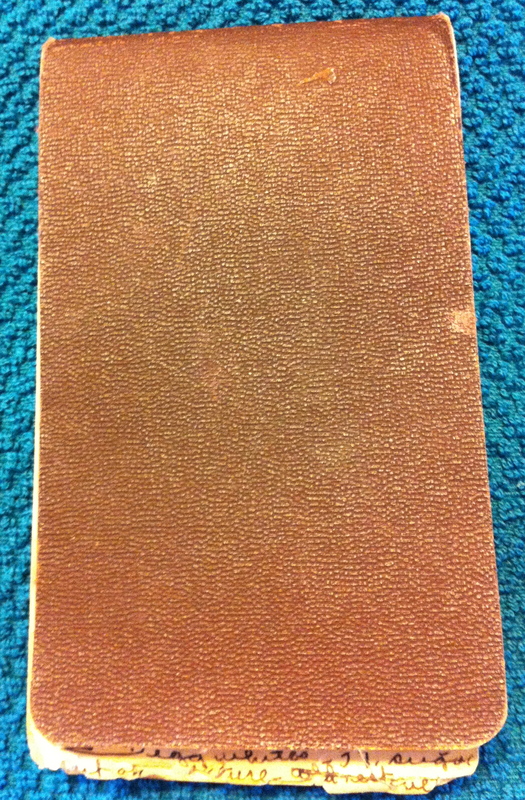 The name of THE HAT is Vine and Leaf Beret found on page 75. I love THE HAT so much that I have made 3 of them! 3) The grey hat is from the same issue of Vogue Knitting called Lace Beret. 4) The last hat, in the bottom left, is the one I made for Q while we were on our Northwest Adventure in Washington. 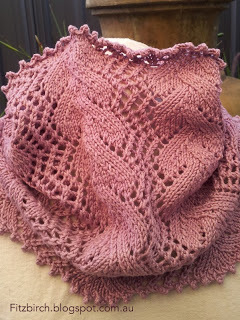 The pattern is Urchin by Ysolda Teague (see our March 31, 2012 post). I made one for Q and one for myself purchasing yarns which matched our hair colors. 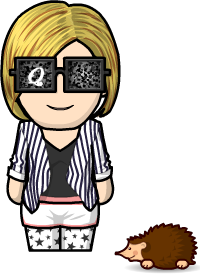 Q – Two women had a strong influence in my upbringing; my mom and my grandmother. Both highly creative women in different media. One habit we have because of them; always carry a notepad in your purse because you never know what you’ll see when out-and-about that desperately needs to be written down. I have a couple of my grandmothers old, beat-up notepads. Ugly brown, but when I open them up and see my grandmother’s notes they are priceless. I’m brought back to my childhood, I can see her jotting down notes as we are out. She had notes about recipes, sketches about beading ideas, creations with yarn ideas, etc. Her hand were always busy creating something! I wish I had one of mom’s notepads. She designed such wonderful clothes for my sisters and me. Her notepad was filled with sewing ideas; such wonderful little dresses filled the pages. I was quite envious when one of the dresses was for a sister and not me! Ginkgo Shoulderette Shawl – Maggie Magalie – If you love ginkgo leaves you must visit Marjorie Moser’s blog she silkscreens and dyes the most fabulous items. Bitterroot shawl with beads – Rosemary (Romi) Hill – I love her patterns! This was free in February, but looks as if it is not now. Also jotted down were titles of books and patterns that we liked. One was “Scandinavian Slippers and Socks” which Curls bought. 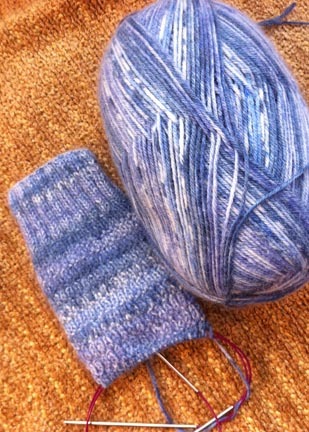 We are knitting the Norwegian Star slipper pattern. I found I spent the most money for yarns in Yellow House Yarns since they had so many models and the patterns were free. I figured free patterns = more yarn! I like that math! Very smart marketing on their part! This is just a sampling of the notes we took on our trip. Doesn’t include the sewing ideas which will be a different post. So, what’s in your notepad? We saw the yarn at Acorn Street Yarn shop in Seattle. 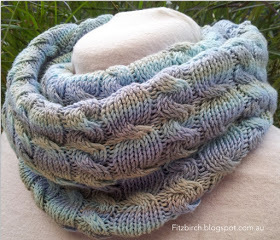 The yarn is Odisea by Fil Katia. The pattern is Urchin by Ysolda Teague. She also made one for herself in the darker color way. Barb has dark curly hair and I have blond straight hair. Where’s the justice? I hate pictures of myself but laying the hat flat just did not do it justice.